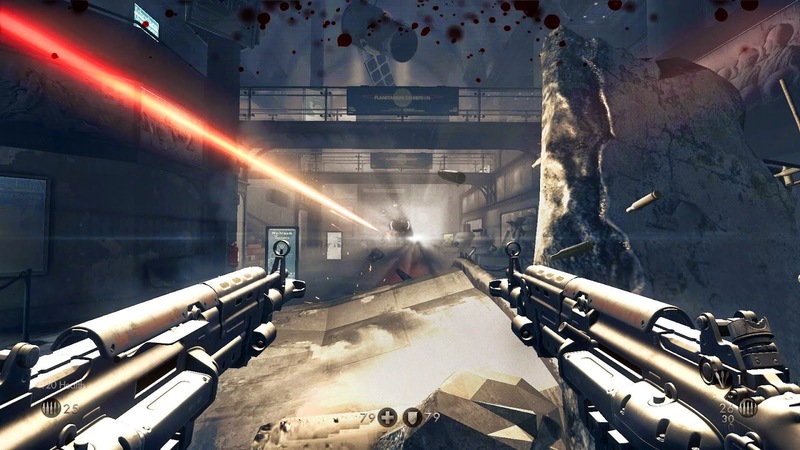 I jumped back into Wolfenstein The New Order last night. I had played the first hour or so when I did the giant playtest of my entire Steam backlog in December/January. Getting back into it I'm reminded just how much it feels like a 90s era shooter. Health doesn't recharge to full every time you hide in cover like a modern shooter. Health packs and armor are pickups found throughout the levels. That alone gives the game a very different feel from modern shooters. But not only that, the way weapons are handled is decidedly old school. You can carry as many weapons as you want with no real restrictions. None of this one primary weapon one secondary weapon crap that "realistic" shooters have been imposing on us lately. You can even duel wield totally impractical guns. My favorite is duel wielding assault rifles. It's something that's completely impractical and totally unrealistic but it's so much fun. The developers of this game always seem to choose fun over realism and it really makes the game shine. I think a lot of modern games get so caught up in being consistent or realistic with their game worlds that they forget to just have fun in them. It's a video game. It's supposed to be fun. The story is surprisingly good too. 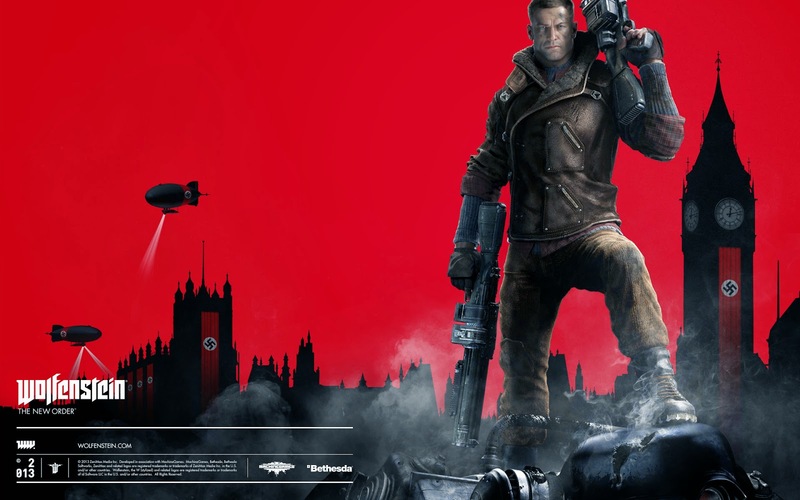 It's a time jump forward from 1940s WWII to a 1960s post-war world where the Nazi's have won the war. It's all about remaking a resistance force long after all resistance has been stomped out. The story can get serious and gritty even though the actual gameplay is over-the-top impractical craziness. It can swing from powerful emotional scenes to fighting giant Nazi war mechs in seconds. And somehow it all works. Now that I'm a few hours in and still enjoying it I'll probably end up finishing the game. How Long To Beat tells me the game is probably around 12 hours long which is nothing compared to all the epic RPGs I've been playing. Even if I don't finish it, I'm having fun with it right now which is what really matters. I am having trouble getting into it. I picked it up for PS4 over the holidays, and it just isn't grabbing me enough. Did you get past the castle at the beginning? I felt like it really picked up after that.